Anita Mitchell, Ph.D., APRN, with members of her team Kim Smith, M.D., and Caroline Crocker, D.O. 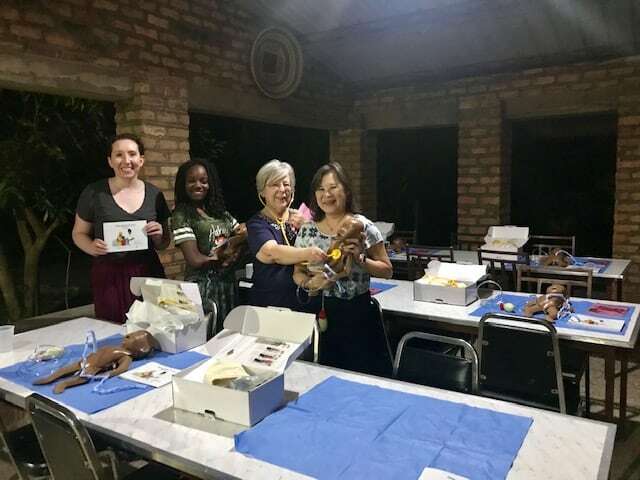 April 4, 2019 | For Anita Mitchell, Ph.D., APRN, an associate professor in the College of Nursing, spring break has meant a chance to travel for five of the past seven years, but it’s not been with vacation in mind. 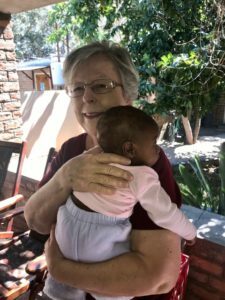 Her goal has been to help mothers and infants in Zambia, the African country where she was born and has lived more than two decades at different times in her life. Those resources include not just training of physician assistants, nurses and midwives, but providing supplies like teaching materials, training mannequins and suction bulbs. In rural areas, midwives receive clean birthing kits with soap, towels and fresh clothes for newborn infants, a pad for birthing mothers to lie on and other essentials. “We include a candle and matches for nighttime deliveries because they don’t have electricity in remote areas,” said Mitchell. “In teaching, we emphasize hand washing and keeping the baby warm, simple things like that. So we provide a bar of soap and clean place to lie down and something to tie the cord with. For Mitchell, the trips are very personal. 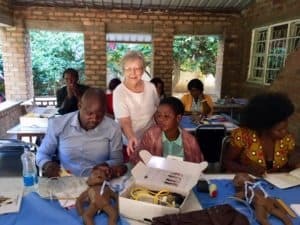 Growing up in Zambia, she moved to the U.S. to attend Harding University, where her parents had gone to school, but got her nursing degree from UAMS. She then went back to Zambia, where she met her husband and started a family. She returned to the U.S. for graduate school at Ole Miss and would go on to earn a doctoral degree in clinical research with an emphasis on management of critically ill infants. 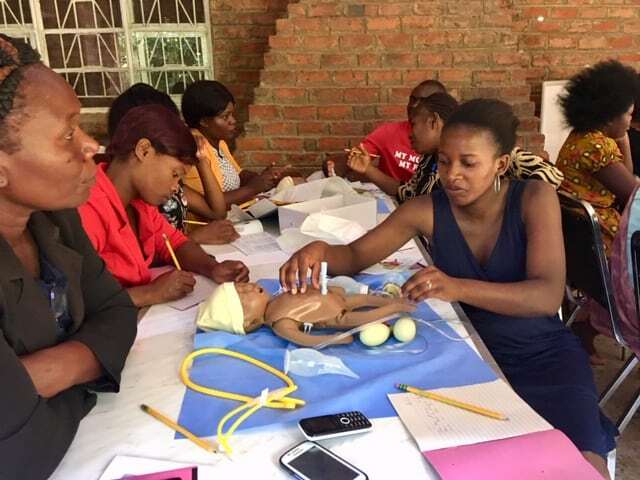 A workshop with training mannequins in Zambia. She joined the faculty at UAMS in 2008, working with Whit Hall, M.D., as part of a research team caring for premature babies. Hall ultimately trained with her in the aid program and accompanied her to Zambia twice. “This isn’t just something I do alone. I always take a team,” Mitchell said. 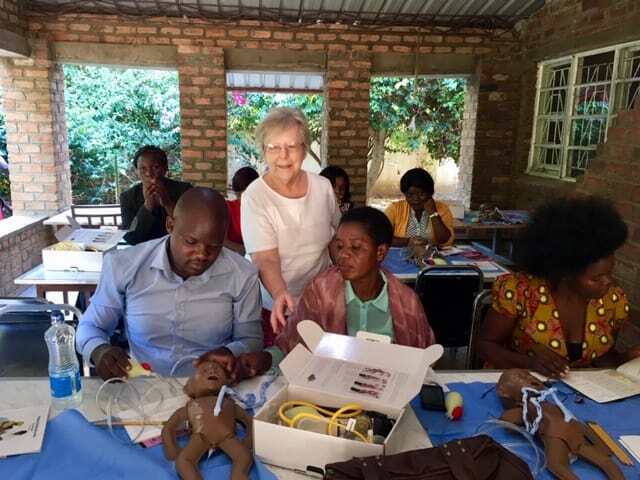 She also explained that the trip is extensively coordinated with and through the Zambian government, which works to identify the health care workers and midwives who attend the workshops in and around Namwianga Mission, where Mitchell and her team are based while in country. The mission isn’t the only place they work, though. “We travel three hours out to these rural areas,” Mitchell said. “And when we get there people are there waiting for us. A lot of them have walked about 10 miles to be there. They get up at the crack of dawn and start walking or using a bicycle. They have no cars. They know we’re coming, but they have no mail service, no email, no telephones. No nothing. Anita Mitchell at Namwianga Mission in her native Zambia. “The word that we’re coming starts spreading early in January, and we arrive in March each time, just as summer is turning into fall. Everything is reversed there. June and July are the coldest months. So the blankets are well-timed,” she continued. And the help is much appreciated. When Mitchell first made the trip, the goal was largely to help infants. However, local health care leaders reported that many new mothers were dying during childbirth. The public health scare changed the workshops Mitchell and her colleagues provided so it is now split between care for infants and care for new mothers. The goal is for those who get the training, whether professionals or not, to share their knowledge with others so that it is self-sustaining. As much as the trips mean to her, Mitchell said, one day she hopes her part in them will no longer be necessary. “My goal in this is to work myself out of a job,” she said.